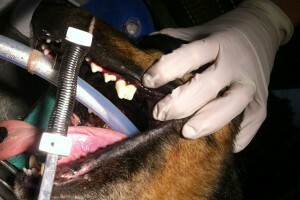 Proper dental care is tremendously important in dogs and cats! Lack of attention to teeth and gums can lead to gingivitis, periodontitis, bone infection, dental abscess and tooth loss. Besides the unpleasant odor, oral disease is painful and can lead to heart disease, pulmonary disease and kidney disease. Dental services include dental prophylaxis (scale, polish, and fluoride treatment), gingival and periodontal disease management, oral surgery and extractions, anesthesia and pain management. 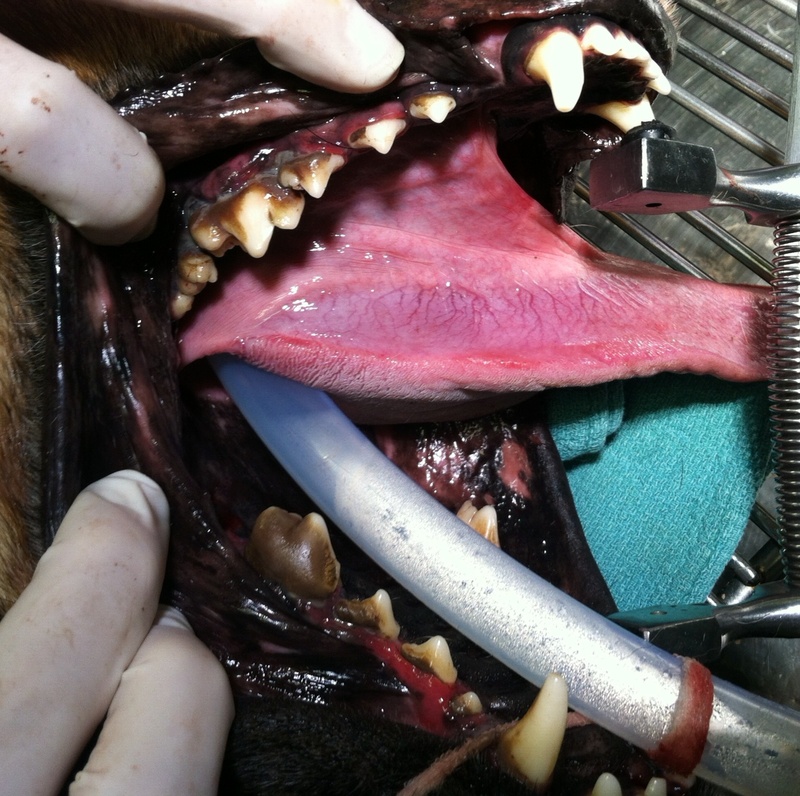 If you are worried about how your pet will respond to dental prophylaxis and/or anesthesia, please chat with our staff about our safety procedures as well as specific accommodations your pet may need. Click here to learn about what to expect during a typical oral exam and treatment. We also stock a selection of dental care products to be used to slow the progression of dental disease, including some for pets that are resistant to manual teeth brushing. Before scaling and polishing the teeth. 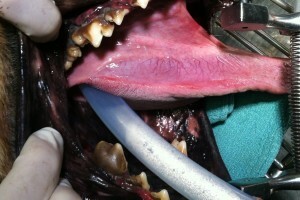 Notice the inflammation to the gumline and the build-up on both the upper and lower teeth. After scaling and polishing the teeth. What a difference!